A recent survey shows that 40 percent of LGBTQ adults were rejected by their friends or family after coming out of the closet – a very real reason why many teens struggle with the decision to come out. Despite all of the advances our community has made, the possibility of losing the support of your family when you’re a kid can be absolutely heartbreaking, and totally nerve-wracking. I remember coming out to my mom: I was in high school, and we were driving home from the mall. She asked me how things were going with a boy I was crushing on. “He won’t date me because he doesn’t date bisexual girls,” I said plaintively, without even thinking. Then I paused and looked over at her. She stared at the road until she was able to bring the car to a stop outside of a McDonald’s. She threw the car in park and said, “You’re bisexual?” in this really terrifying tone. Too scared to lie, I nodded. And she stared at me until I thought I was going to start crying…and then she smacked my shoulder and said, “You should have told me sooner,” and then pulled out into traffic again. Simple as that. I mean, it was a pretty casual slip of the tongue on my part, and the whole thing was like ripping off a particularly glue-y Band-Aid, but I did it. And I still think back to that day, sometimes, and how scared I was, and how relieved I felt after. I think that coming out is going to be less and less of a thing (hopefully) in the future, as our society (hopefully) evolves and people no longer feel the need to hide who they are. 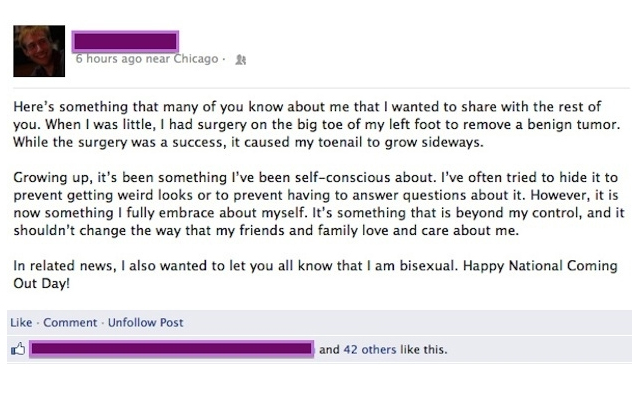 Until then, check out these people who have been getting creative with ways to come out to their friends and family. 16-year-old Californian Gina came out in possibly the coolest way possible: she held up a sign in her reaction photo on Splash Mountain. She gained a massive following on Twitter for her hilarious and original way of coming out, and also was totally embraced by her family for her bravery and creativity. Perhaps one of the most famous coming out stories is that of Ellen, who came out on the Oprah Winfrey Show back in February 1997. Her character on her show Ellen also came out at around the same time, to her therapist (played by Winfrey). “I didn’t ever think I was going to come out,” she said in a preview clip of the show. 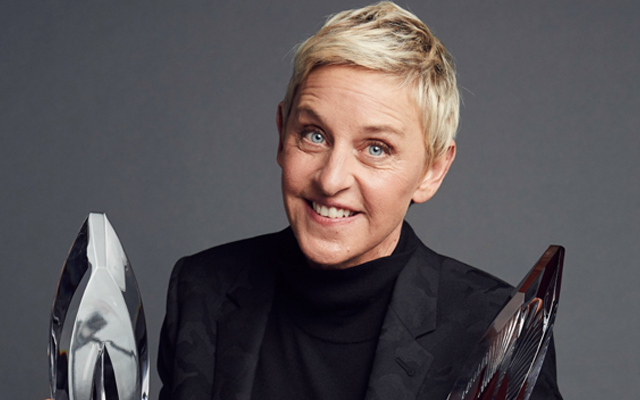 “I didn’t think I’d be coming out on a show, ever.” Ellen reportedly wrestled for quite some time with the decision to come out: she explained that it took a meditation retreat to gain the mental clarity she needed to come out to her fans. Another wonderful Ellen graces our blog today in the form of the actress Ellen Page. “I am tired of hiding and I am tired of lying by omission,” the Juno star said in Las Vegas at the Human Rights Campaign’s Time to Thrive conference benefiting LGBT youth. “I am here today because I am gay.” I actually remember watching this on TV and being hugely excited when she made the announcement. This insanely brave kid came out during a graduation speech while accepting an award for Class Actor. Go, Jacob! All of these people (and millions more I haven’t mentioned) have found interesting and fun ways to come out. Maybe you don’t have your own sitcom, and maybe you aren’t famous, or won’t be giving any speeches at your school anytime soon, but you will figure out a way that works for you. What you can take away from all of this is that, whether you’re a world-famous actor or just a kid in high school, everybody struggles with coming out. Sometimes it just slips out, like it did for me; and sometimes you wrestle with the idea for years before you’re comfortable enough to tell another living soul. Coming out is brave, but that doesn’t mean that being in the closet is cowardly; your very existence is brave in an of itself. What’s your coming out story? Comment below or tweet us @gfmdating! 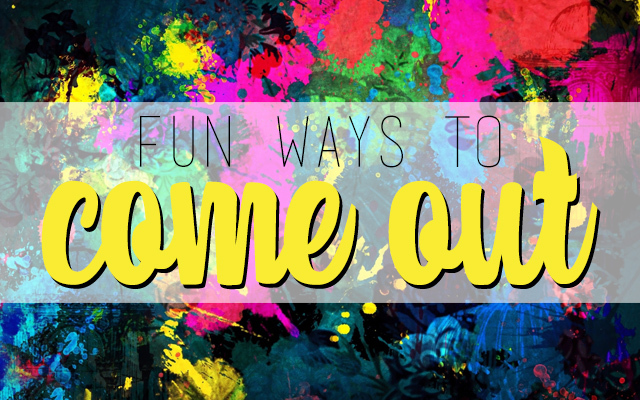 This entry was posted in Coming Out Stories, Fun Stuff and tagged coming out, dating, fun stuff by Vee. Bookmark the permalink.